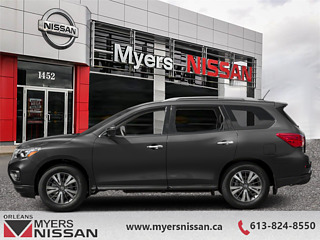 Sunroof, Navigation, Leather Seats, Heated Seats, Premium Sound Package! 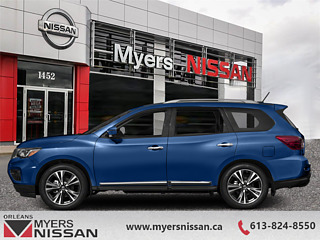 Our Pathfinder's trim level is 4x4 SL Premium. 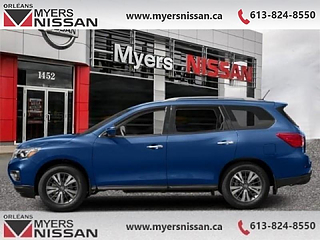 This Pathfinder SL is ready to rule the road with intelligent 4x4 with hill descent control, tow hitch receiver with 7 pin harness, 4 wheel independent suspension, aluminum wheels, LED daytime running lights, LED auto on/off headlights, fog lights, heated power side mirrors with turn signals and tilt down feature, blind spot warning with rear cross traffic alert, and automatic emergency braking for safety and driver assistance. 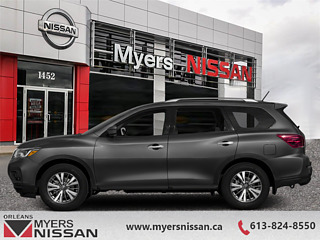 An 8 inch NissanConnect multi-touch display with navigation, Apple CarPlay and Android Auto compatibility, SiriusXM radio, Bluetooth control and streaming, MP3/WMA playback, aux and USB inputs, RCA video input, and AM/FM/CD audio through a Bose premium sound system keeps you connected while a tech loaded interior with an Advanced Drive-Assist instrument cluster display, rear sonar parking assistance, AroundView 360 degree camera, motion activated hands free liftgate, dual panoramic moonroof, remote start, remote keyless entry, tri-zone automatic climate control, auto dimming rear view mirror, intelligent cruise control with adaptive speed, heated leather steering wheel with cruise and audio controls, heated leather seats, power front seats, driver seat memory settings, 120V household style power outlet, and ample cup holders and storage cubbies keeps you comfy. 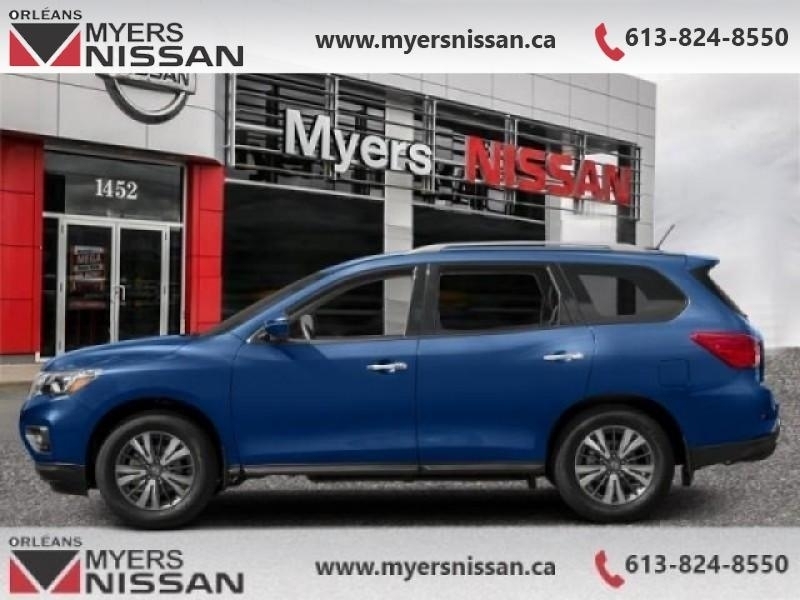 This vehicle has been upgraded with the following features: Sunroof, Navigation, Leather Seats, Heated Seats, Premium Sound Package, Hands Free Liftgate, Memory Seats. Buy this vehicle now for the lowest bi-weekly payment of $313.26 with $0 down for 84 months @ 5.99% APR O.A.C. ( Plus applicable taxes - and licensing fees ). Incentives expire 2019-04-30. See dealer for details.